Started to check under the dash for any wiring problems tonight. 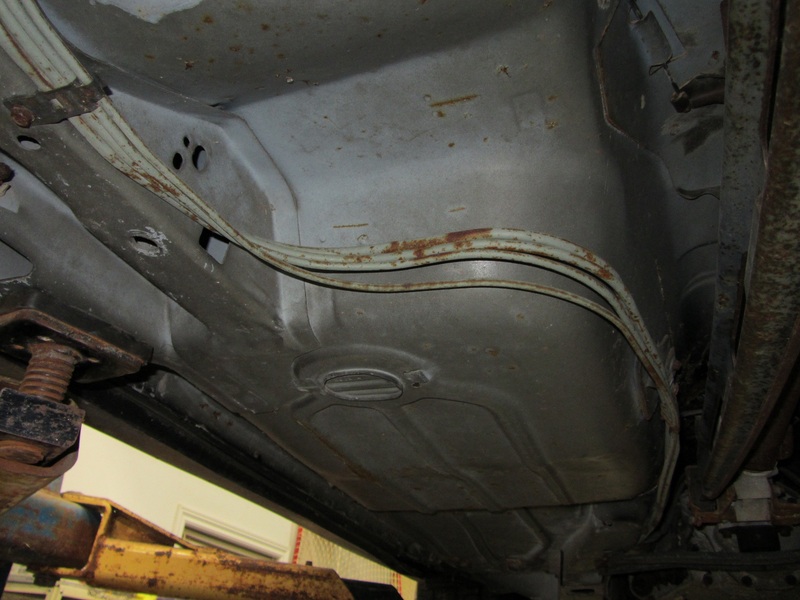 The car had some critters calling it home for not sure how many years so chewed wires were a big concern. After pulling out a huge nest all around the main wiring harness right under the ECM I coudnt believe my luck....not ONE wire was damaged!! Looks like I can hook up the battery this weekend and see if everything powers up. I have posted some photos of the interior and the nice nest. On a second note I took a picture of the label on the ECM (hope thats the right term) to see if anyone knows if this is a specific unit for the players cars or just the standard unit. 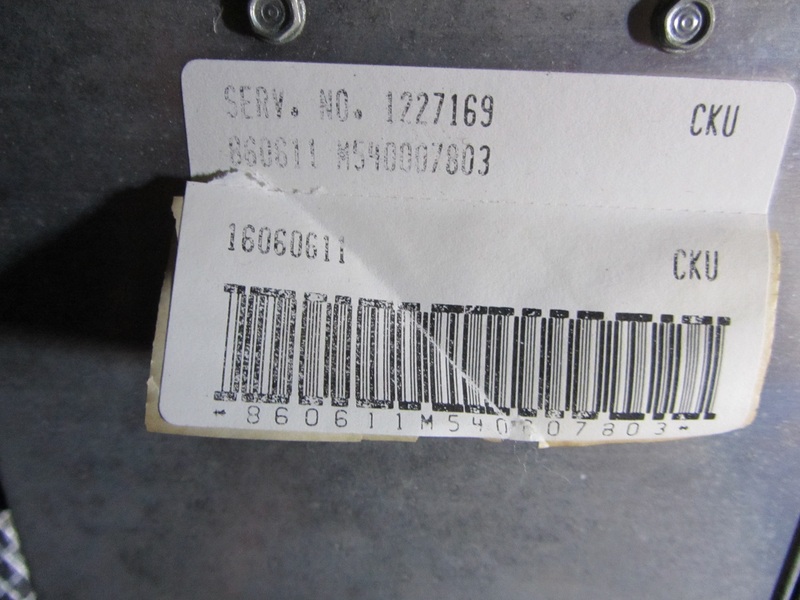 The original part number is the 1227165, there is another number 16198259 that is a service number on one of my ECM's, not sure what the difference is, I think the 161 is either rebuilt or just a later number, or a replacement number. One thing I noticed is the 16198259 does not have the PROM code like the 1227165 does. So that may be the difference, the 16198259 did not come with the PROM... it is just speculation mind you. Last edited by okfoz; 01-29-2015 at 07:42 AM. Here are some photos of the Brembo front brakes, adapter brackets and spindles. Zoomed in on the stamping number on the adapter bracket in case that helps anyone. These have to be the RAREST parts you will ever come across. These are the predecessors to the 1LE brakes. Back in the 80's, GM was working on a brake upgrade for the f-bodies. This was the prototype stuff. When the series started, and cars were running through the corners, GM pulled this prototype and had a batch made. Literally overnight the brakes came into being. Pads created overseas, shipped to GM. By 1988, GM wanted a production package. The Vette caliper was choosen over the Brembo simply because it already had DOT approval (so to speak). seals and such were acceptable. The racing teams were suppose to return all these non-street-legal parts back to gm ... but a few teams kept them (at a cost of not getting back their bond.). Very very cool stuff. Museum worthy. You need to open the panel on the ECM to see the PROM. A players specific unit will appear different than a stock unit. The part number sticker should be replaced with paint markings. Got started on cleaning up the engine bay. This is just to get things cleaned up so I can start working on it, not for show yet. Found 1 dead mouse, 6 cobs of eaten corn, a nice collection of nuts and assorted items and I believe some interior insulation nicely tucked into air cleaner intake!!! Wires all look good thankfully and oil looks clean on the dipstick. Numbers match on the block and I have also added a photo of the race engine and stamping for reference. Pictures are before and after as well as race engine and stamping. 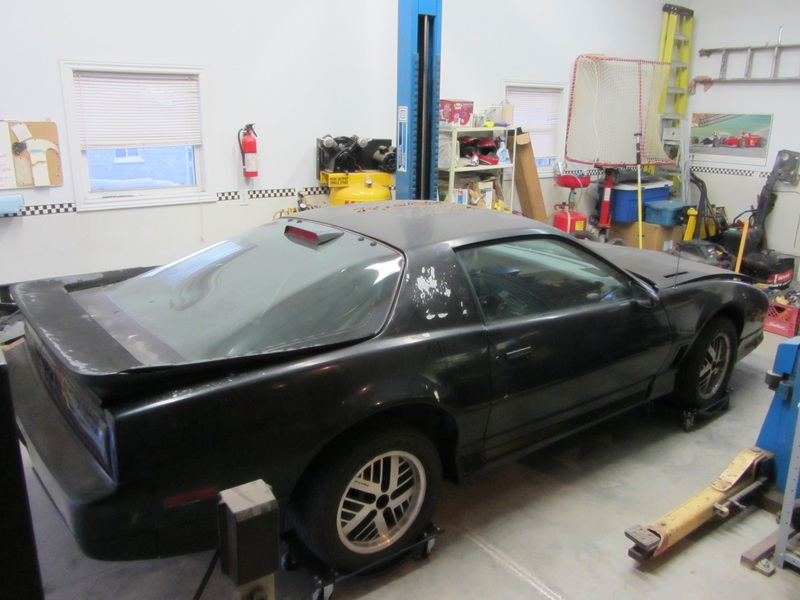 In a couple of weeks I should have the car on the lift and ready to drain fluids and get ready for a start-up. For some history ... all 1986 players cars were 305HO shipped from GM to Canada. Each car had that original engine removed, stored, and a race version of the 305HO installed (hence no VIN on the block). The engines were hand assembled and blue printed. About the best of the 305's you could make. Engines tested out above the published 180HP spec. The idea was that the teams could race the cars all season, put it back to stock and sell it. And it supported the old theme race on sunday, sell on monday. When fans saw and heard the cars on the weekends, they ran to the dealers to buy. Again, the engine was to be returned to GM after the season was done. So very few of these race parts will ever been seen. The owner stated that some teams had dyno'd these engines. When they did the one I have it was in the 190 range which he thought was good. Then with further talking to the guy running the test he had said Spenard's and Buck's were just over 200 and I'm sure that's at the wheel not crank. I am only 19 and this is all way before my time, but this interest's me 100x more than any smartphone or video game ever. Thanks for saving such a piece of history. That's probably the most encouraging thing I'll read all day. Ha, thanks! I have a burning passion for these cars. I bought my first thirdgen when I was 15. And I have owned four since then. I work my *** off to afford these cars and treat them like they deserve. I wish I was around in the 80's. Of the few engines I've heard about that have been torn down, they are in fact blueprinted with weights marked on all the rods. Cam lobes checked. and so forth. Lots of pride in the assembly of the engines. I think the 86 would be my favorite car (historically speaking). The only car delivered from GM race ready! And lots of prototype stuff that made it into production later. 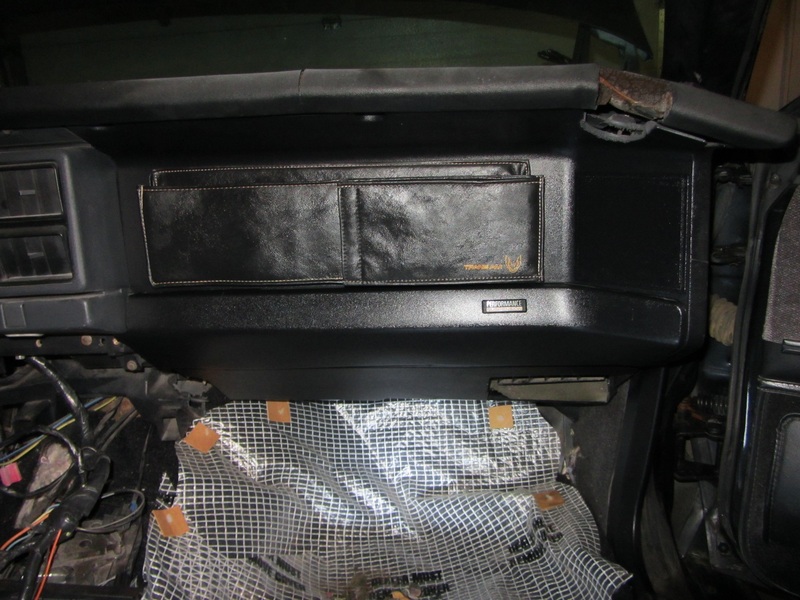 Got the passenger side lower dash all back together. Took pictures of the chips inside the ECM and looks like just a stock set as the players one should have some writing rather than a sticker??? The later PROM pacs had a PROM with the glass window (used for UV light to erase the chip). 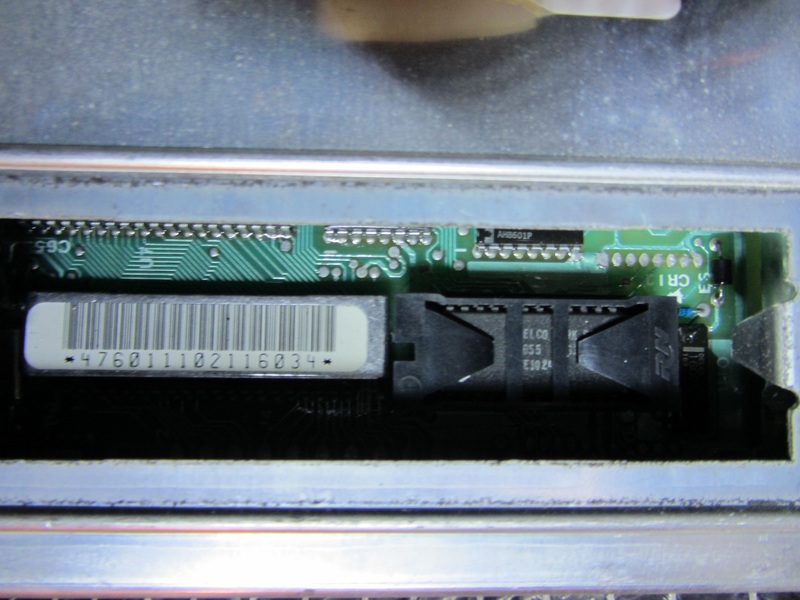 On a stock chip was a square part number sticker. On the race chips, it was a yellow/white paint mark (which matched the engine marks). As 1986 is so rare, I can't say I've seen them to know for certain. But since your car has pretty much everything associated with it ... Id have to guess it's there. They may have swapped the computers as a whole unit vs. the prom. Check your boxes for a spare computer. There must be someone with an 86 Players Camaro or Trans am that can check and see??? I haven't dug through all the boxes yet so it is possible but looked like the unit hadn't been touched. Um, maybe not. I've only run across two or three over the years. They were not well known back then or now. I'm sure there is a few around ... but not many if any with all the race stuff. The cars were only out East for the 1986 season. Many ended up racing at the local tracks after the series was over. Started piecing together the interior tonight. Quite the challenge when all the parts are on shelves and because I didn't take it apart trying to figure out how it all goes together is quite fun. Two hours and 3-4 trial runs and its all loosely put together and starting to look like a car again. Everything is looking in very good shape but boy is the plastic brittle and easy to break. The window switch connector literally started to crumble into dust. Here are before and after shots and one of the speedo showing the super low 3,882 km ! I feel I have to jump in here, just for a sec. Not meaning to steal Munyguy's thunder, but this is info worth sharing. In the past, I had a chance to talk with the guy that sold Munyguy the car in this thread. At that time it wasn't for sale, but he had a pair of other Players cars that he was selling, and I was looking at them for a guy on this board. While I was looking at the other cars, he started talking about the '86 T/A, as well as other Player's Racing stories. He claimed that he turned in the brakes as per the agreement and asked the guy at the dealership what exactly would become of them. Turns out, they were headed to scrap. So, somehow, he figured out when the scrap guy was coming and traded the guy a case of beer for the brakes. That's how they're still here today. I wish I had known about these things back before most of them went to the crusher. There are a few still being raced locally. There is actually a Player's Camaro on kijiji right now. Thanks for sharing that great story. The original owner did a great job preserving all the items for this car and you are definitely not stealing any thunder. The whole idea of this post is to share what I have and document as much as I can knowing how few of these are remaining. You own a piece of true American auto history. 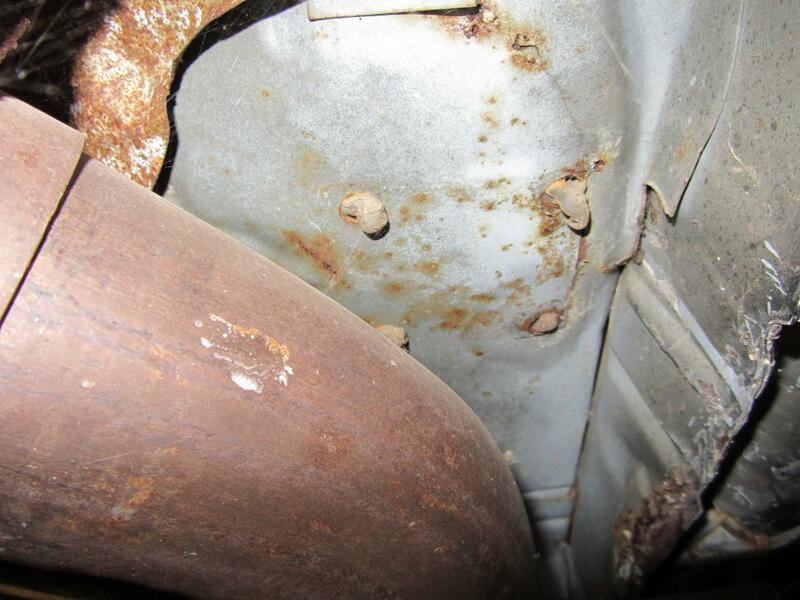 One more thing with regard to Spendard's car, and possibly others. 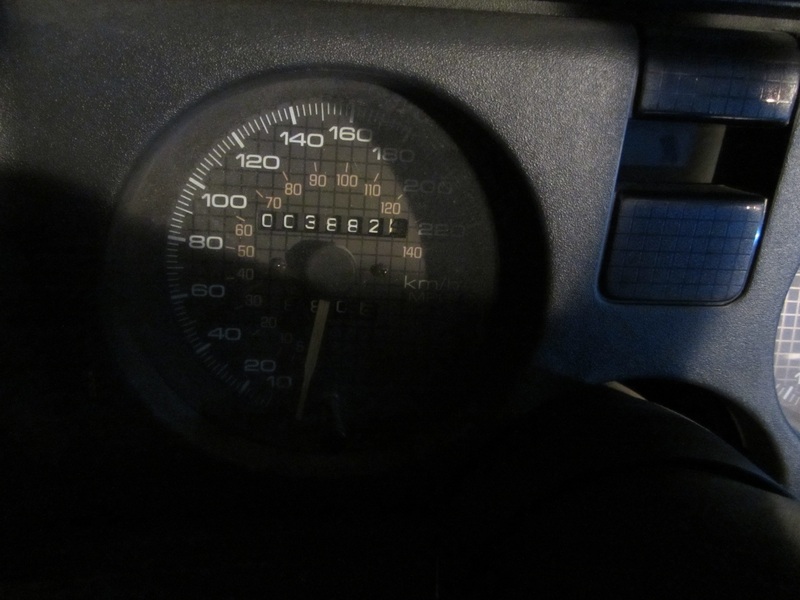 The previous owner and I were talking about advancing timing on these cars, as I was driving my '89 at the time and found it tended to have a bit more power on the top end with the timing advanced a few degrees. He said that some racers (including Spendard) were going to the extent of removing the balancer, machining the outer ring smooth, and machining a new timing mark into the balancer so they could run advanced timing but still pass inspection. I want to say 7 degrees advanced was the magic number, but I am just guessing. Another thing he mentioned was that one of the main points of these cars was so that average guys could go racing. According to him, most "average joe" racers ordered their cars loaded so they could be sold easier at the end of the season. And a lot were, hence why they are so hard to find. This is at least partly why a lot of Player's cars have power windows, locks, etc, rather than being manual everything like you would expect in a typical race car. 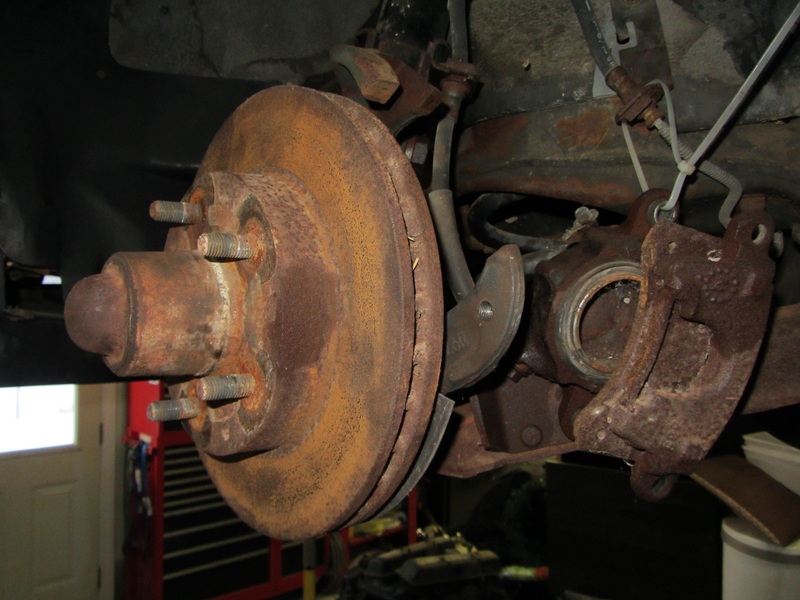 The brakes from 1986 were used again in 1987 as the 1LE brakes didn't come out until 1988. After the 1987 season, a large number of the brakes went to Spenard Racing school. The others most likely for scrap. There were a series of things the teams did to enhance performance. The tech inspectors ended up having tools to check for those exact "modifications". Quite funny. I heard of guys machining their rims down for less weight, bending diffs for more camber, pinching fuel return lines, and so on. Somewhere in my papers I have a check list from the tech inspectors. The "options" on a players car is a story. In 1986, all cars came from GM as a batch, sent out to Kerr Industry for retrofit. Not much selection of options codes ... but I've talked to so few people with 86's it's tough to say. In 1987 and 1988, teams could order options, typically the option "groups". 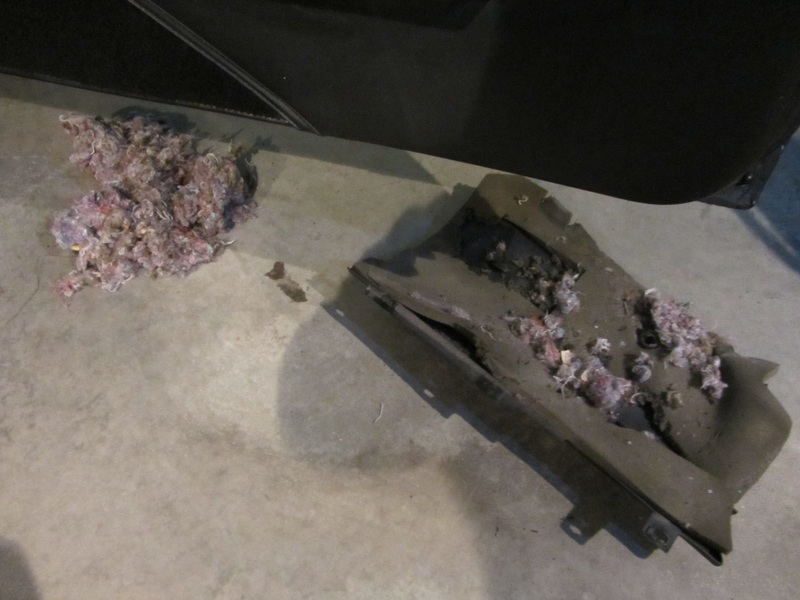 Some went for the stripper for weight savings, others picked options for better resale. My 1987 TA was low option, and my 1988 had a few more. (It took me a while to track down a base AM/FM non-cassette stereo to put it back to stock). In 1989, all car options were fixed (R7U was a package). Color was only choice. There's lots of neat historical things with these cars, part of what made it into production later on. 1986 was the first ... and very cool to see how it all started. Did the drivers describe the cars as snap loose? From watching the races on Youtube it seems like a lot of the incidents may have been caused by this behavior such as the double "spin" at Toronto. Snap loose is a common complaint about these cars when they are stock. While the cages may have mitigated that somewhat one of the best cures for that in my experience is subframe connectors... even with a cage. I'll bet there's no way that anybody was getting away with those though tech. Subframe connectors were not part of the allowed parts. I'm sure cars used in races after the series did that. Both TA and Camaro had the largest sway bars (from TA) and the steering brace from the Camaro. Most players cars suffered from the body tear in the upper corner of the roof where the window is. Too much flex. 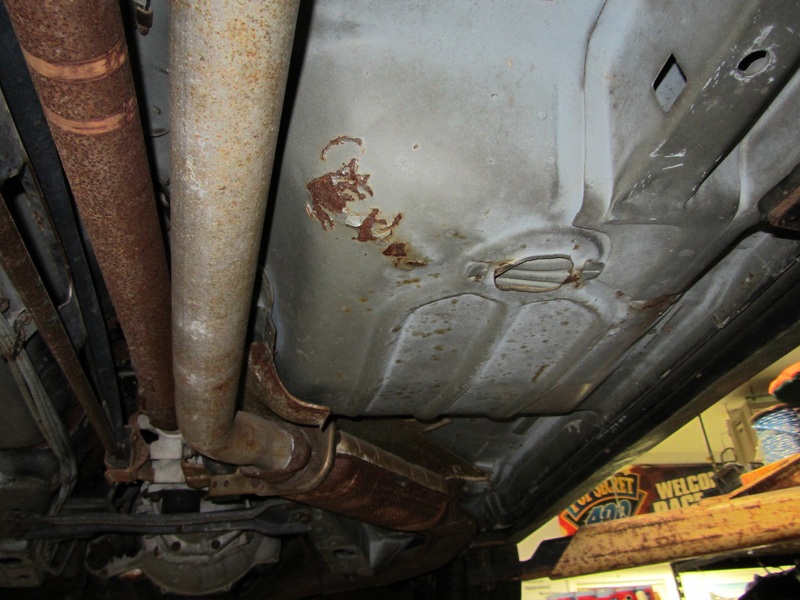 In later years, to help with handling, the rear sway bar was reduced to 21mm. A R7U only option. Standard 1LE cars got the larger one. Early cages were 6 point. Later ones were re-enforced with cross bracing like an "X" in the back, and cross bar down to passenger floor. Door cars were 1987-up. From what heard from the body shops ... the stiffer cages help keep the cars in shape when they got banged around. Made it easier to fix. Every hardtop I've ever owned, and everyone of my friends hardtops all had the dreaded tear. It's a real eye sore, generally one of the top things on my list I look at when I see a hardtop. Finding one without the tear is like finding a mint dashpad uncracked. Finally got the car over to the third bay and ready to go on the lift. This weeks jobs are drain and fill all fuids and get ready for a start-up. With any luck next weekend I will post a video of the starting!!!! First good look under the car tonight. 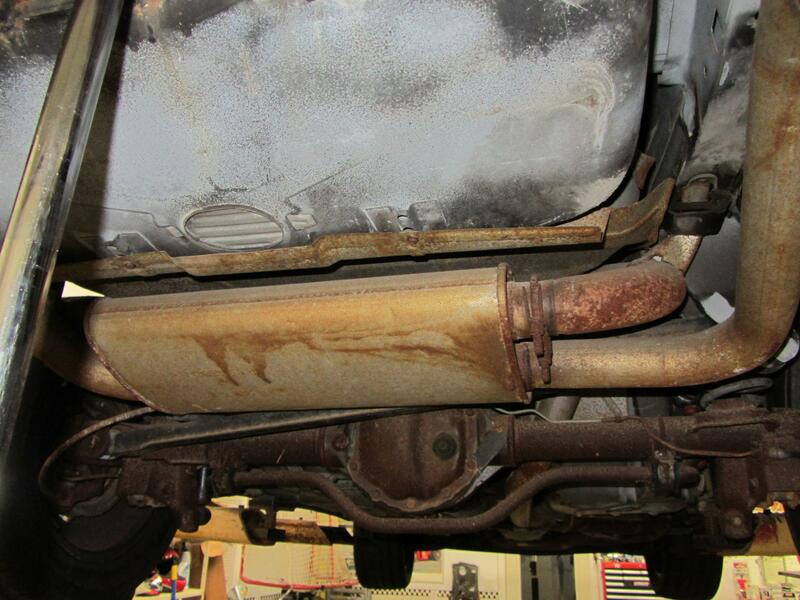 Pretty happy with what I see, no rust thru issues only some surface rust and everything seems intact. Transmission numbers match VIN so its as original as you can get. Oils draining so just going to disconnect fuel lines from pump and use small can for the start up so not pulling anything from the tank. Any suggestions to check tank for rust or debris other than dropping it?? 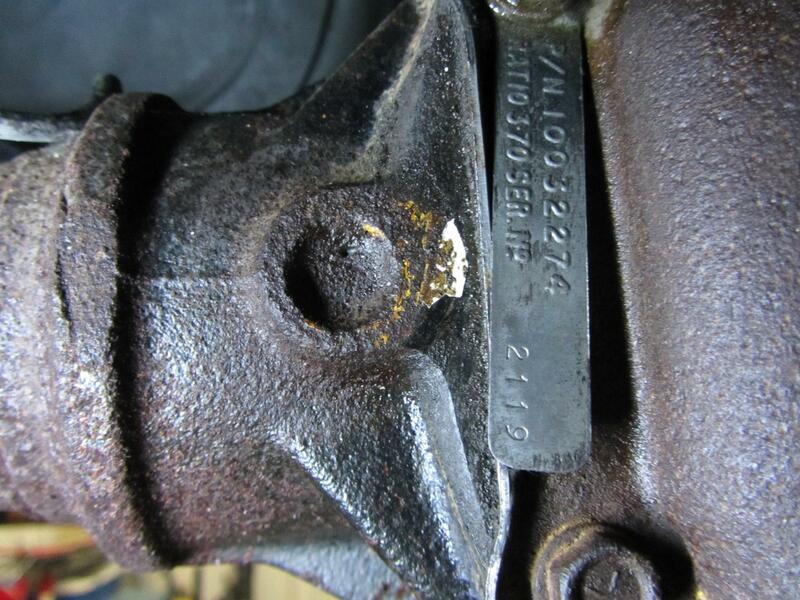 ULTRA rare 3.70 Borg Warner rear diff! I'd have to dig up my books ... but I think only the Trans Am's got the borg warner diff in 1986. Camaro's had the 3.73. (I think). 2. Install the Brembo brakes and find some rotors if I'm taking everything apart anyway? Pros and cons to both sides, I do have some extra pads for the Brembo brakes and car will see limited road use and zero if any track time. Brembo's. That is one of the more unique parts of the car and the heritage of the 1LE brakes. So you have regular factory brakes or 1LE brakes now? I can't tell from the picture. A Few years back I think Brembo still had some rotors left. Might have been for the Firehawks tho. Not sure of the difference. Sure there are other things, but those are the one's I can think of. My vote is for the brembos. Put them on the brackets and see if they use the stock 1LE rotor or they need a larger rotor, id bet they use the 1LE rotor. Last edited by TTOP350; 02-17-2015 at 09:13 AM. Last edited by TTOP350; 02-17-2015 at 11:01 PM. Very cool build! Good luck! They were re-drilled Caprice rotors for the first batch until GM made a part number for them. The race part from 86-87 was replaced with a 1LE part from then on. You should be able to find a 1LE rotor for sure. Worst case ... I have a set of used ones from a race car ... the right part number and all. Actually ... I have a set of pre-1LE brakes that came off a GM cut away car. the part number on the rotor doesn't match the 1LE parts, so it's an early one. I should have a pic with part numbers ... I'll see if I can find it. A 1LE brake setup off GM cutaway show car. 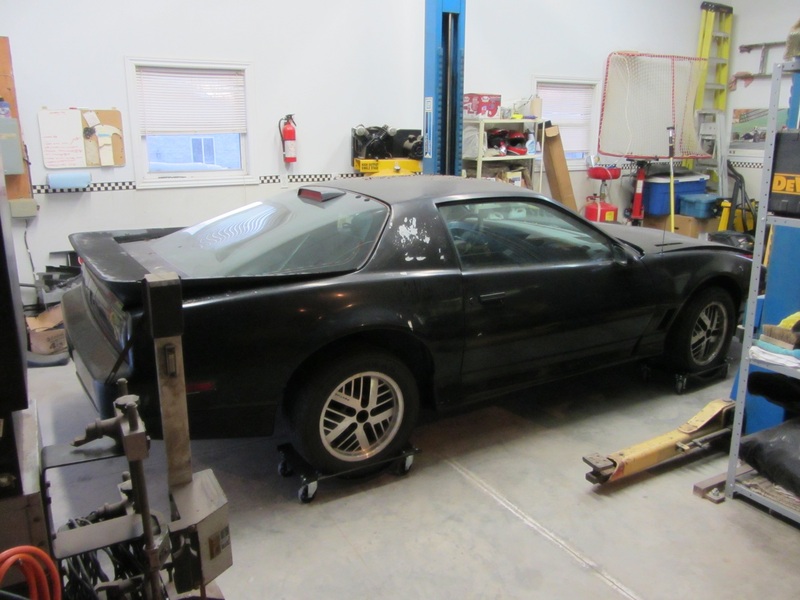 Was a 1987 Iroc with exposed suspension, engine, etc. Showcasing GM performance parts and such. These were painted up for the show car. ZERO miles on them. Stock pads. Race teams received "SS100" pads taken from the Corvette racing of the day. The story on the R7U strut follows along about finding a stiffer race strut ... started life as a strut from a convert which is the stiffest of all apparently and Delco changed the valving for R7U. 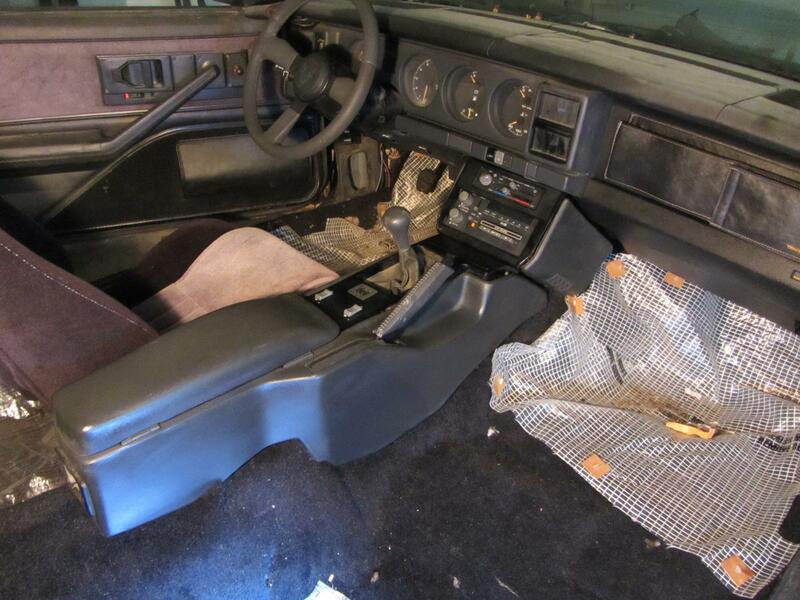 In 87-88 the struts were non-GM parts swapped in the cars. In 86 ... I suspect stock as there is no mention of changes. Last edited by Mark_ZZ3; 02-20-2015 at 05:08 PM. And here is a 1988 set. These were hand built by PBR and shipped to the assembly line for installation on the 1988 cars in March 1988 (before the official 1LE brakes were released. The calipers are not correct (they are vette parts - banjo bolt is on the side facing inwards to the car. F-body was on bottom of caliper pointing up). The spindles and rotors are from a non-raced A4U car. Here you can see how the bracket was custom fit ... not a production part yet. Last edited by Mark_ZZ3; 02-20-2015 at 05:37 PM. VERY cool pictures! Thank you for sharing them and the correct info. Thanks Mark...Awesome stuff, when are you opening up the museum??? You have to convince my wife that all my "junk" is actually museum quality. lol. As with many of us "horders" ... hope that all this helps keep the history of our cars alive and well! I have a 89 1LE setup and I'm thinking it also has the clearance notch on the caliper carrier. I'll check it out sometime. Mine are tough to take off and put on. zero clearance. You can see harsh grinding lines where they took the last bit off. I assume the production ones had a more generous relief ... either on the bracket or spindle.